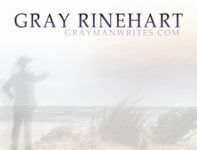 The Gray Man Writes – Page 127 – Good words, for good people like you…. The doctor called this afternoon, and the results of my MRI are in: as suspected, the problem in my head appears to be just in my head, not in my head. For those who want more detail: the MRI looked normal, meaning there’s no obvious physical reason why I have nearly continuous pressure on one side of my head. No tumors, no infections, no bats — although they sleep in the daytime, so they might not show up on the machine. That means we’ve ruled out the ear canal, the middle ear, and the inner ear, leaving only … we don’t know. So, it appears the problem may be all in my head. Which is better, in many ways, than the problem being in my head. Wouldn’t want that. I like green beans, so I was pleased to learn that the soil on Mars could be good for growing green beans. The Mars Phoenix Lander found that the soil’s a bit alkaline, which according to Spaceflight Now (your source for agricultural information, at least when it’s extraterrestrial) is good for green beans, asparagus, and turnips. If only I liked asparagus and turnips. But y’all can eat those, and I’ll eat the green beans, and we’ll all have a splendid time on Mars. That is, 35,000 words on MARE NUBIUM as of last night. My two main characters dodged figurative bullets in the last chapter; in the chapter I’m writing now, one of my other characters just sustained a painful injury and is about to endure some more hardship during his time on the moon. Should be fun :). I understand that Senator Rand will no longer be pushing this bill. My editorial on the subject appeared in the CARY NEWS yesterday under the title “Good Intentions Run Amok,” but I’ve seen lots of similar editorials in print and on-line from around the state. And I know some of my friends wrote in to the legislature in opposition to the bill. So even though I don’t deserve all the credit, I claim success in sending this to an early legislative grave. Yesterday I had the protons in my brain aligned with an extremely strong magnetic field — alas, it did not make me smarter or give me super powers — while radio waves excited the protons and pushed them out of alignment. As they snapped back into alignment, they produced tiny magnetic fields of their own that the imager picked up. Today I await the results. My friend Oliver could explain all this much better, but as with almost everything else there is a Wikipedia page about it. I almost fell asleep while they were scanning me. Had the vibrations and noise been a little more consistent, I probably would have — especially since some of the vibrations were quite rhythmic. But the part where the whole tray started shaking was a little unnerving. Then today I spend half the day burning up very expensive gasoline going all over Cary and back and forth to the Baen office in Wake Forest. It seems I spent the other half standing at the counter in the Post Office while they tried to figure out the International Reply Coupons I was cashing in to send responses back to a couple of authors. So, given all that, I don’t feel so bad that I only made it to a little over 33,000 words. I’m calling that one-third complete, and right now I feel pretty good about it. Fascinating images from the Phoenix Mars Lander show what appear to be chunks of ice disappearing from a trench the lander dug. The full story, with a nice image that toggles in a “now you see it, now you don’t” fashion, is on Spaceflight Now. Of course, we knew Mars had ice — we’ve seen its ice caps grow and recede. But it’ll be interesting to see if the lander can analyze some of it. So, where do we sign up to go? With their candidates all but confirmed, the Republicans and Democrats have settled down a bit — but just a bit — while the Anti-Campaign continues at its breathtakingly slow pace. Over in the forum, this morning I posted the Anti-Candidate position on Health Care, for those who are interested. First, by disallowing every lawsuit filed against any hospital, clinic, or provider within six months of any death or other injury alleged to be a result of care. Why? Because great emotional distress affects our ability to make good decisions. A year would be better, but some period of time is needed for the family to gain some perspective on the event and decide if they believe the provider was negligent or was acting in good faith. It would be even better if cases would be summarily dismissed if the plaintiff and their legal team planned the suit during the hiatus, even if they filed after the time period expired. This wouldn’t end all ambulance-chasing, but it would reduce the number of frivolous, reactionary cases. Second, by restricting the potential damage awards to be commensurate with the earning potential of the plaintiff and the injured party. As a (non-healthcare) example, if the hot coffee spilled in your lap will cause you to miss work, and the embarrassment of having spilled hot coffee in your lap will cause you to miss more work, then maybe you should be awarded an amount related to the amount of work you’re likely to miss. Unless you’re going to be out of work for 20 years and without your 50-grand-a-year paycheck, you shouldn’t get any million-dollar payout. Of course, this is just an academic exercise … but it’s still fun.